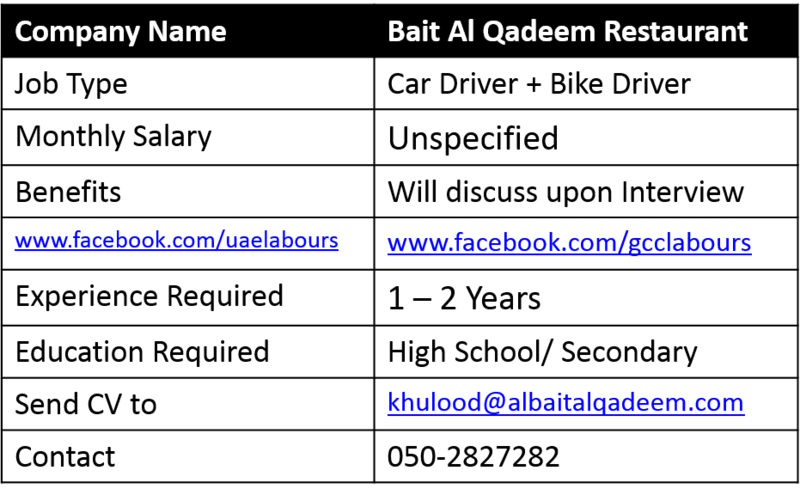 We AL BAIT AL QADEEM RESTAURANT located in Dubai is looking to hire a delivery Boy. 1: Driver with dual license in Light Motor Vehicle and Motorcycle. 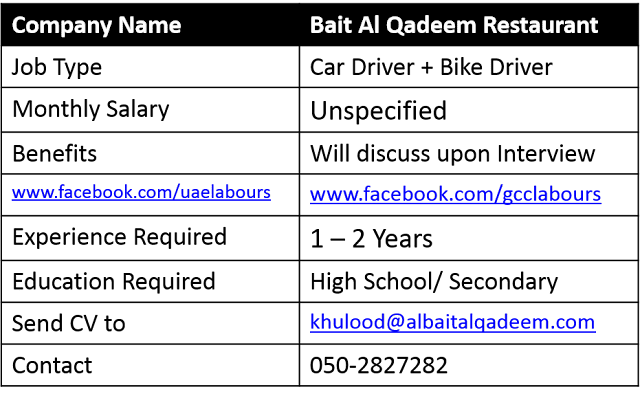 2: Must have a good knowledge of Dubai Roads. 3: Must have at least 2 years experience. 4: Candidate with English & Arabic Language skills will be prefer more.